Since 2017 until now, Russian actions have shown constant attempts towards reaching a political solution in Syria, that can protect the Russian interests and the progress on the ground in this country at the expense of American, European, and even their partner’s Iran interests. It has become clear that the upcoming constitution for Syria is considered a priority within the Russian vision towards a solution, as Moscow has worked with many Syrian groups and Western think tanks on producing a draft for a new constitution and presented it in the 1st round of the Astana Negotiations. In addition, the subject of the constitution remained present in the Russian discourse throughout all times, and became especially evident in the idea of the Sochi conference, which was held at the end of last January, as the proceedings of the said conference had focused primarily on constitutional reforms, and the formation of a Syrian committee under the auspices of the sponsoring countries of the Astana Negotiations, so that the committee can obtain UN recognition in these negotiations. 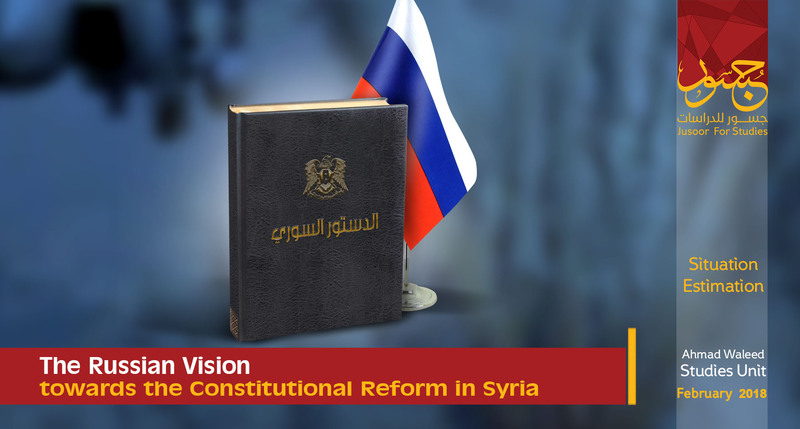 The presented paper about the constitutional reform (as per the Russian vision) seeks to discuss the most important ideas for constitutional reform, the extend of the relation between constitutional reform and political solution for the crisis in Syria, in addition to options available to the Syrian opposition in dealing with this vision. All while witnessing a continuation of Russian official statements and increased arguments between opposition forces in regard to constitutional reforms. Russia, during the past period of time, has sought to push constitutional reform issues as a priority in the Syrian negotiations. By this, Russia seeks to push past previously agreed upon international agreements, especially the “Geneva communique 1”, that included the formation of a transitional governing body and drafting a constitutional declaration for organizing the mechanisms of the transitional phase, and Security Council decisions. After the 1st round of Astana Negotiation on Jan. 24, 2017, Russia presented the draft of a new Syrian constitution that included the Russian vision on the issue of constitutional reform. Russia stressed that the draft will be serving as guide lines only, and to encourage Syrians to start discussing the new constitution, along with the possibility of amending the current Syrian constitution in accordance with the Russian vision. The draft included 85 articles such as the Syrian president’s Authority, the Syrian parliament, the nature of the relation between the different authorities in Syria, the representation of the minorities in different state positions, and presenting the federal solution that complies with the ambitions of the Kurdish component(1) . The draft suggests expanding the powers of the Syrian parliament on the account of the Syrian president, including the powers of impeaching the president of the republic, taking decisions regarding war and peace, and appointing the members of the High Constitutional Court in addition to appointing and dismissing the Governor of the Central Bank of Syria. 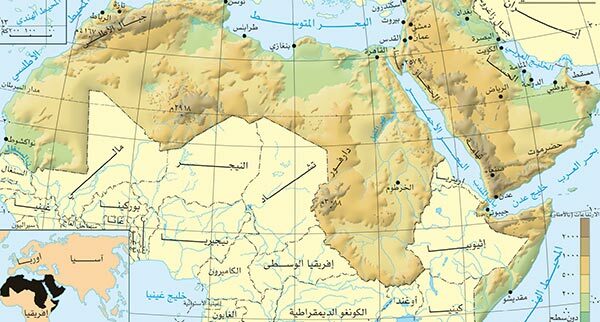 Moreover, the draft suggests the removal of any reference to the “Arabism” of the country, and to exchange that name with “the Syrian Republic”, in addition to removing the article that states that Islam is the religion of the state and Islamic jurisprudence is the main source of legislation, along with emphasizing the equality between the Arabic and Kurdish languages as official languages in the self-governed bodies. Also, the Russian draft highlights the necessity of representing all spectrums of sects and nationalities in the new government appointments and allocating some official positions to represent the minorities in Syria. The draft emphasizes the inadmissibility of using armed forces in the political sphere, suppressing locals, or the transfer of authority. Furthermore, the draft confirms the primacy of international law and agreements recognized by Syria alongside considering them as an essential part of the legal system in the Syrian State. 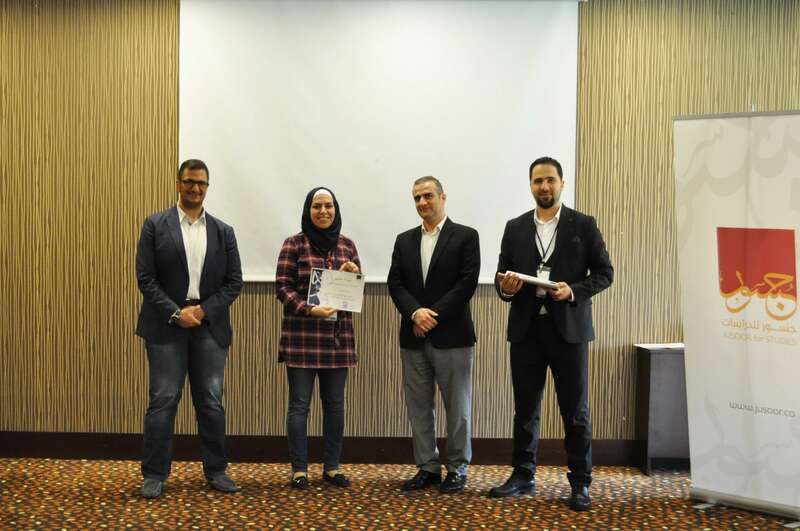 Whilst the third item of the 7th article of the draft states that: “principles and provisions of the international law that Syria has already recognized to become part and parcel of its legal system”. The Russian draft has kept the article with respect to the presidential term (7 years) and the possibility of re-electing for the second term(2) . It seems that presenting such a draft embodies the Russian occupying approach, whereby Moscow tries to convey a message to Syrians and other countries that it will have the upper hand in the future of Syria. It also reflects a Russian initiative to impose political realities, similiar to its military policies which are based on firstly forcing realties, then calling on all actors to search for mechanisms to handle these realities. • Implementing the principle of sectarian and ethnic quota within all State facilities. This principle will reflect on civillian peace in the area by keeping alive causes of the conflict in the future, in addition to the inability of creating a stable and unified foreign policy between the State’s sovereign institutions, similar to the Lebanese scenario. 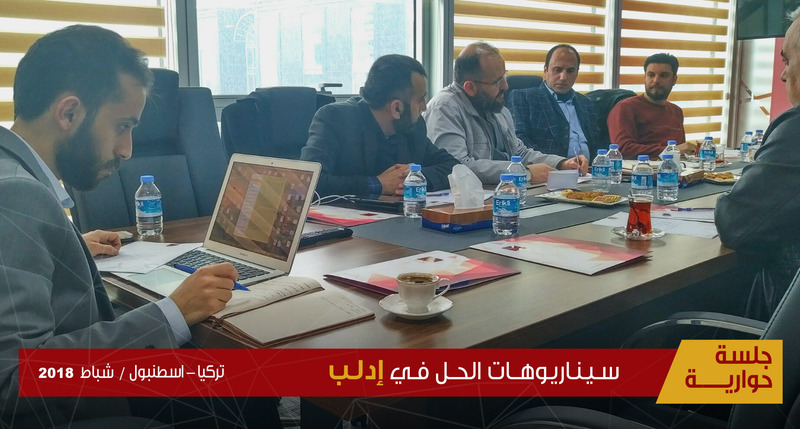 • Emphasizing the principle of decentralization and the distribution of powers between the central government and the areas in order to accomodate the aspiration of any Syrian component in the present or the future, such as the Kurdish movements’ endeavor to establish a self-governed entity. • Balancing between powers through the greater distribution of authorities alongside expanding the powers of the representative councils. In this context, Russia did not abandon the general framework that the large states sought to implement in other countries that had suffered from civil wars in the past, while trying to force constitutional and political solutions without taking into consideration the particularities of those countries and their societies, which resulted in the establishment of poorly structured entities with chronic economic and social problems. On the other hand, the implementation of administrative decentralization in the presence of the sectarian quota’s principle might motivate other minorities in Syria, who form a majority in some specific geographical areas, to demand more self-governance, which might lead to the emergence of new influence entities of regional and international forces in the future. Moscow presenting the draft of the new constitution in early 2017, has led to a speed up in the situation, in which the principle of the “four baskets” , disclosed by De Mistura, was adopted by the UN mediation at the end of the Geneva Talks on March 4, 2017. The principle included the establishment of a non-sectarian governance system, setting a timetable for the new constitution, conducting elections, and fighting terrorism(3) . On October 26, 2017, De Mistura also declared that the 8th round of the Geneva negotiations will focus on two main aspects: The preparation of the new constitution and conducting elections under the UN auspices. The adopted agendas by the UN imposed a change on the communique of Geneva 1 through the formation of a transitional governing body with full executive authorities that would issue a constitutional declaration for the transitional phase in order to pave the way towards drafting a new Syrian constitution(4) . On November 23, 2017, a trilateral summit of the presidents of Russia, Turkey, and Iran took place in Sochi, where they agreed on a political settlement that can end the Syrian war, which includes organizing a dialogue conference for all Syrian components, enhancing ceasefire, and increasing humanitarian aid(5) for those affected by the war. The summit has been held during a significant time and was linked to important events, as it took place two days after Bashar al-Assad’s visit to Sochi, where he met with the Russian President, while Putin informed the presidents of the U.S, Saudi Arabia, and Israel about the outcomes of his meeting with Al Assad(6) , which indicated a Russian attempt to build an international consensus in regards to the Syrian dosier. It is noticed, that the Russian vision for constitutional reform hold many points in common with the Turkish and Iranian visions, as all three countries do not wish to draft a constitution under Western auspices, and wish for their presence on the field to be reflected in the political future of Syria, which starts with the constitution. The Sochi conference has reflected the trilateral consensus between the three state actors in Syria, as the proceedings of the conference have fully focused on forming a constitutional committee that can be adopted by Russia, Turkey, and Iran, with its role being to suggest constitutional amendments during the first phase and to write a constitution in the next. This political process will deprive the High Negotiations Committee specifically of tasks related to the constitution. But it is important to mention that the compliance between Moscow, Ankara, and Tehran about some aspects related to the constitution and the political solution does not mean that they share a mutual vision, as Iran does not wish to grant the Syrian opposition any chance to participate in the constitutional reform. Tehran also believes that the Syrian regime, which is supervised by Tehran on the ground, is not in a position that would force it to make compromises in this regard. Furthermore, Iran refuses the idea of removing centralized powers in order to distribute them on all parties or any idea that might lead to “federization”, while Turkey rejects the idea of an “ethnic federation”, and Russia, itself being a federation, considers the federal system to be the perfect solution for Syria. On the other hand, the visions of the three states that came as a result of the Sochi conference intersected with the UN’s desire of closing the gap between Astana and Geneva negotiations, as this gap was the reason behind showcasing the Geneva negotiations as being unable to reach any political achievements despite being adopted internationally. As such, the International Organization sees in the formation of the constitutional committee that emerged from Sochi a way towards fulfilling the desires of field actors in Syria in regard to forming a constitution, alongside fulfilling the desire of the International Community with respect to making progress in the political solution. According to the above, it has become clear that Russia now plays the primary and principle role in solving the Syrian crisis. This role has been enhanced by a number of factors, the most important being the constant declination of the American role in the region on the account of the Russian strategic expansion, and the political and military setbacks of the Syrian opposition in face of the continuous Russian pressure, which pushed all local and regional forces to coordinate with Moscow. This has allowed Russia to dictate its conditions on all parties involved in the crisis, as a result of the political and military instruments Russia owns. The Syrian opposition has to make difficult decisions in regards to the political and military courses, as it faces a constant declination in the rebel-controlled areas, which has finally reached 12% including the Euphrates Shield Zone controlled by Turkey by the end of January 2018. This percentage is prown to decrease further in the upcoming months. On the political level, the opposition is facing a decreased interest from the U.S and Europe in the Syrian issue, in addition to a similar regional withdrawal, which leaves the opposition with limited space for maneuvering, in places where local influence has become extremely limited. 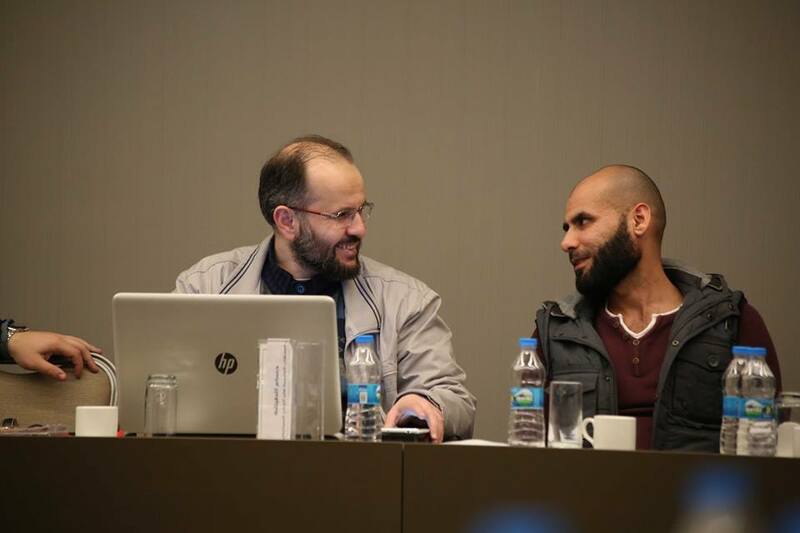 Internally, the Syrian opposition has already suffered from wide divisions. On the military level, each military faction acts separately, while the political institutions are already split and lack legitimacy. The above-mentioned has hindered the presence of any strategic approach to handle the Russian vision or any other visions, whilst the Syrian opposition does not even create its own vision about the future of Syria! 1- Upholding the statement of Geneva 1 and demanding the implementation of its outcomes especially, the term on the formation of a transitional governing body and presenting a constitutional declaration in order to become a reference for any negotiation process about the Syrian issue, as the Geneva statement is already supported at the international level and by the UN, in addition to the importance of implementing related UN resolutions. 2- Focusing on the course of Geneva, as it is considered the course that limits to a certain degree the huge Russian progress in the negotiation process. 3- Handling the now available options positively and reasonably, including the constitutional committee of Sochi conference, which, as it seems, will become a reality after being adopted by the UN. Rejecting this reality can result in excluding HNC permanently from the constitution issue. 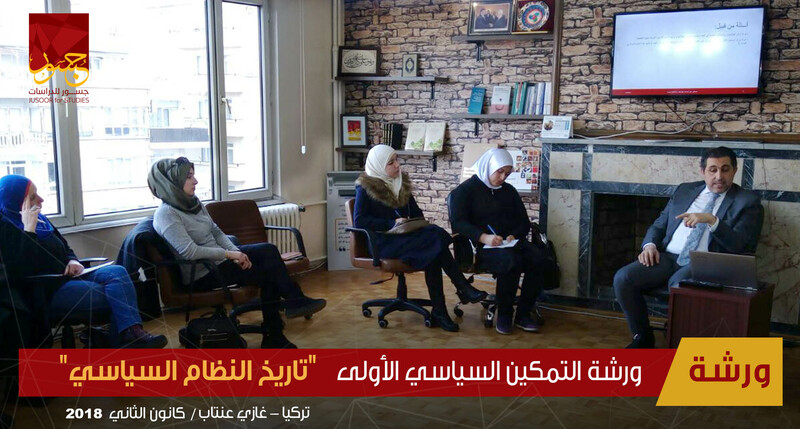 4- Building a new constituational vision for the Syrian opposition, so that the negative situation of only dealing with the vision of others can be turned around into a positive position, in which others deal with the vision of the opposition. 5- Making use of the huge gap between the Russian and Iranian visions about constitutional reform and the political solution because the two countries disagree about the content of the constitution and the approach towards a solution solution in Syria, while they agree on the neutrilization of the Western role in this regard. 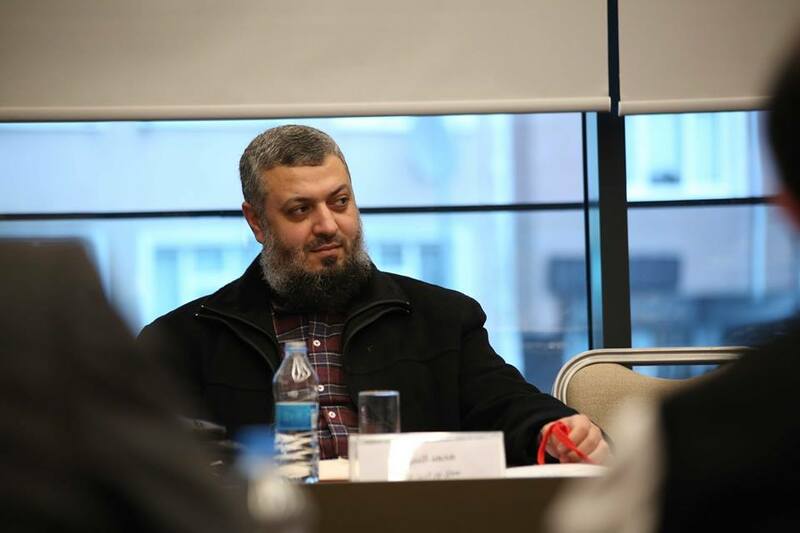 6- Expanding the consultations with all different spectrums of the Syrian opposition in a way that would grant HNC a chance for representing all actors including those who did not attend the 2nd round of the Riyadh Conference. Russia wants to affirm its vision regarding the course of the political solution in Syria in accordance with the Russian strategic interests in the region especially, after the successful military advancement due to the Russian intervention in Syria. But, he Russian endeavors will be hindered by many realities at the local and international levels despite the declination of the American role in the region and the increase of the Russian role. The U.S still controls 25% of this region through its 12 American military bases and is still the most influential country in the world, which Moscow cannot surpass easily. In additon Moscow is in disagreement with its Iranian partner’s vision and options, which are based on totally different interests. In short, the constitutional reform will be pointless without the presence of a comprehensive political settlement for the Syrian crisis that can fulfill the minimum level of the transitional justice and cause a real change in Syria. This is linked to ceasing the military operations and the presence of an international consensus of international actors. 2- The most notable amendments within the Russian draft of the new Syrian constitution, Sputnik, 27/1/2017 ..